Let’s face it. The Forester is a hugely popular model in the U.S., having sold over 177,500 units last year and 281,000 globally. In Subaru’s lineup, only the Outback outsells the Forester in the U.S. with some 188,800 sales. So to maintain its popularity, the brand had to keep this chunky crossover successful and relevant, especially as the current model had started to age. Subaru promises the new model will have better handling, ride quality, comfort and of course mileage. And making all that possible is the employment of the brand’s new Subaru Global Platform. 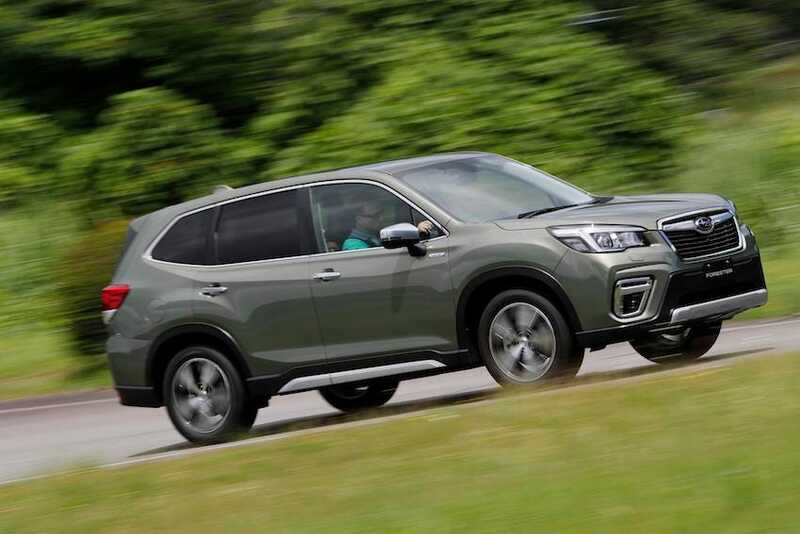 After the Impreza and Crosstrek, the Forester is the third model to incorporate this architecture, a chassis that has already proved it possesses the highest crash rating in the country. The same size as before but with a 1.2 inch longer wheelbase, designers have actually managed to improve rear seat leg and headroom. But the Forester is not pretty. The outgoing model wasn’t and the new model isn’t either. The Forester, however, will always be practical, a triumph of function over form. From what I saw on the test drive, it was obvious that Subaru did not want to alienate the market with radical changes so it kept the overall concept as is. That means it keeps that basic boxy shape and features subtle updates on the grille, headlights and tail lights. When you look at the old and the new models side by side, you almost have a double take. But looking closer, you can see that the grille and lights are more prominent, sit cleaner on the car’s nose section and are better balanced. Foresters come standard with EyeSight, an advanced safety system that includes automatic pre-collision braking, lane departure and sway warning and adaptive cruise control. But this time, the Subaru gets the company’s first-ever DriverFocus technology, a feature that uses facial recognition software to warn drivers showing signs of fatigue or distraction behind the wheel. It also allows drivers to pre-program their driving positions, and the car will use its dashboard-mounted facial recognition camera to scan a driver’s face and automatically adjust seats, mirrors, and air-conditioning preferences to that driver. This is a first for a car under $40,000. 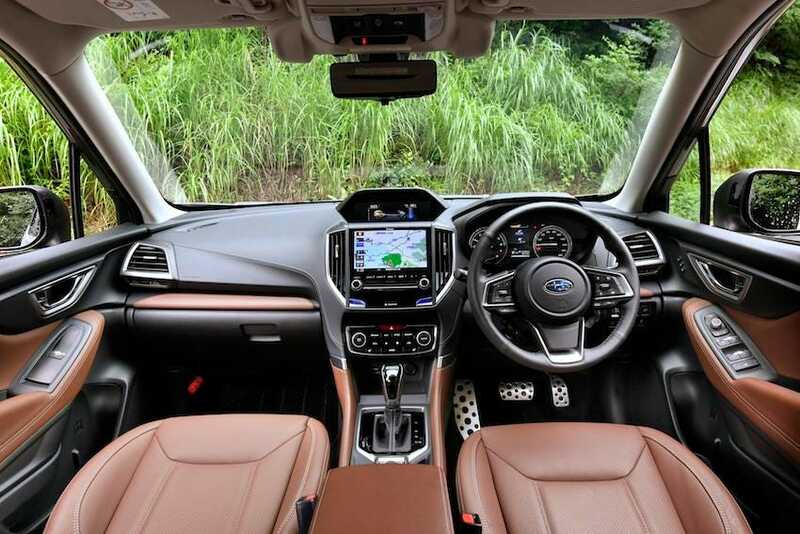 Inside the Forester employs higher quality materials and plastics than the outgoing model. There are a more luxurious ambiance, more supportive seats and the DriverFocus feature is a feature that will eventually appear on all models. At the long-lead test drive in Japan, Subaru offered the two new specs that are expected to land in showrooms later this year. Before we go any further we should just recap that the gutsy 250hp 2.0-liter boxer turbo has been axed from the lineup because it only accounted for 5% of buyer choices. The darling of Subaru’s powerplants, however, is the new naturally-aspirated 2.0-liter e-Boxer married to a mild hybrid system and channeled through a CVT generating 144hp. Delivering a much-improved 18km/L (@42mpg), the e-Boxer supplies drivers with sharper throttle response and acceleration between 20-30 mph. This speed is considered an average speed for drivers in U.S. residential areas as well as most city roads in Japan. To quickly reach any speed above that, you will have to tickle the throttle rather aggressively, especially when navigating uphill stretches. Yes, this new hybrid does give drivers the fuel economy they’ve craved for but at the cost of a just-adequately powered engine. On the bonus side, power is delivered smoothly and the cabin remains quieter than ever before thanks to strategically positioned sound-absorbing materials. The engine that seemed more practical for an American audience was the naturally-aspirated 2.5-liter boxer, also teamed up to a CVT. Producing 182hp and a strong burst of torque between 2500-5500 rpm, it supplied the kind of acceleration we’ve come to expect from Subaru’s non-turbos. While not explosive it is adequate. Laden with 5 adults and luggage, this is the engine you’d want for long trips or sportier driving. Although to be honest, I still would like to see Subaru offering a choice of CVT and standard automatic transmissions because I know there are drivers out there who lean either way. 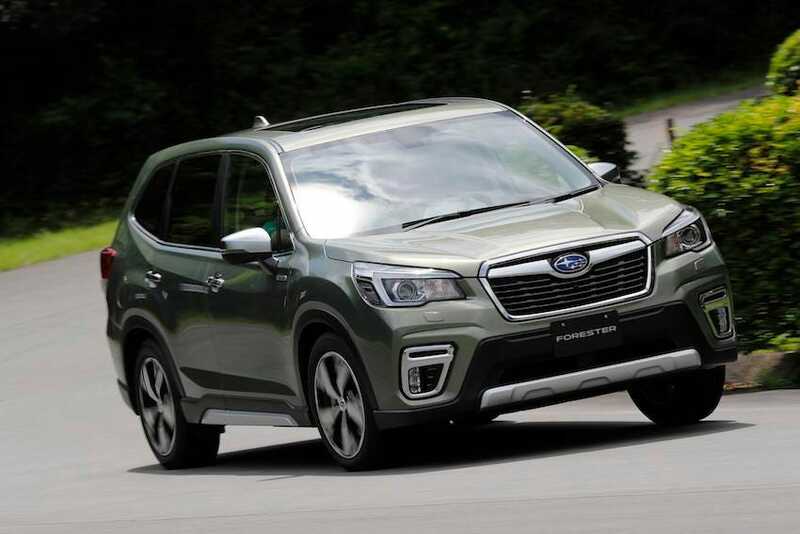 During our short test of this pre-production prototype, it was glaringly obvious that this new Forester is as good as Subaru said it would be. Thanks to the newly fitted platform, revised suspension, steering rack, and the tried and tested all-wheel-drive system, the Forester resists body roll more than ever in the corners staying flat throughout, turns in with greater accuracy and perfect weight, and just feels lighter and more agile on its feet than its predecessor. Brakes have also been enhanced and deliver grippier bite earlier on in addition to greater stopping power. The scratching of a turbo and manual from the Forester’s lineup may force some customers to go elsewhere. 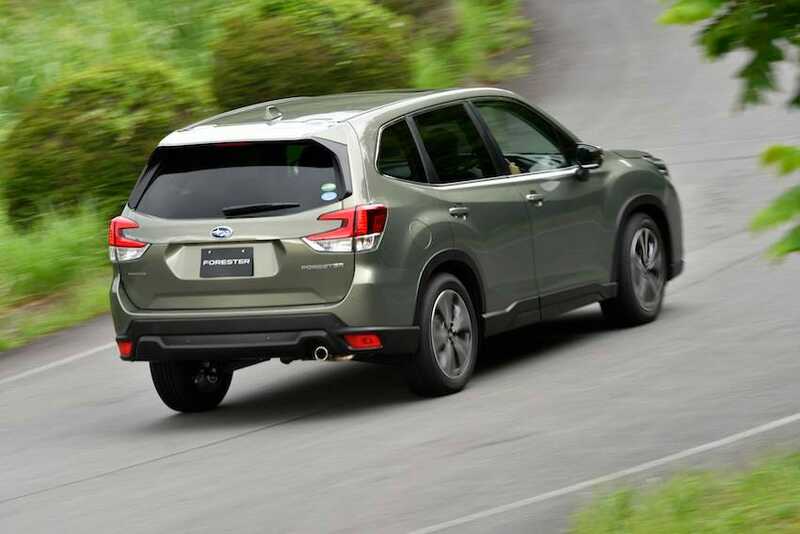 But what the new Subaru offers—with its improved handling and ride quality, the choice of an e-boxer hybrid or 2.5-liter flagship, its higher quality interior and the segment-first facial recognition DriverFocus—is just what the Forester needs to stay competitive with rivals like the Toyota CH-R and Honda CR-V. Prices have not been announced yet but expect similar sticker prices to the outgoing model.